Tension headaches are caused by tight muscles in your shoulders, neck, and jaw, which are usually caused by poor posture or deviations of the spine. 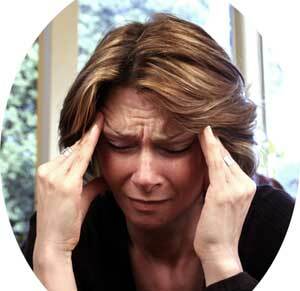 Stress, depression, anxiety, can also cause tension headaches. Tension headaches are usually on both sides of the head and often start at the back of your head radiate forward. The pain is often dull or squeezing, like a tight band or vice. Sinus headaches cause pain in the sinuses of the face. Sinus headaches are due to swelling of the sinuses due to a cold, allergy or infection. Pain is increased as the head is tilted forward due to increased pressure. Cluster headaches are very intense headaches that occur in groups or “clusters” that affect one side of the head near the eye region. Attacks occur from 1 week to a year and can go away for long periods of time. stroke, Meningitis, encephalitis, Very high blood pressure, tooth abscess, brain aneurysm, Hydrocephalus, Subdural hematoma, etc. 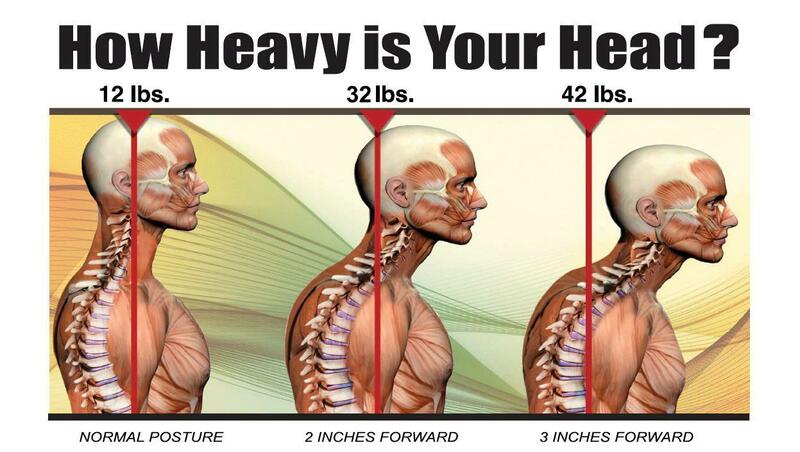 Forward Head Posture is a common cause of Tension Headaches. It creates extra work for the muscles of the cervical spine and leads to fatigue and chronic muscle tightness in the muscles of the cervical spine and often results in headaches. Try to avoid watching TV while laying down with your head jacked forward, using more than one pillow, using your laptop on the couch, sitting in a slouched position,or looking straight down at your phone. If you do Yoga avoid the plow and wheelbarrow poses as these force your head into flexion and are not safe for the cervical spine. Just try and avoid any movement where your head is in a flexed forward position for extended periods of time. Headache Treatment depends on diagnosis first and foremost. If there is a food allergy that food needs to be eliminated from the diet and if the cause is from a serious medical condition a medical doctor needs to be consulted. Most headaches are from tension due to tight muscles caused by injuries to the upper back and neck, which lead to spinal misalignment’s or subluxations. It is important to restore movement and function in the vertebral joints so that proper alignment can be maintained. Headache Treatment may consist of Active Release Technique (loosen tight muscles), High Power Laser Therapy (decrease swelling & inflammation and increase range of motion by removing adhesion’s in tight spinal muscles), fixing Biomechanics & Ergonomics (improving the way we sit, sleep, and move), Specific Gonstead Chiropractic Adjustments (restore proper alignment to the spine, which reduces tension and nerve pressure), Ice Therapy (decrease swelling and spasm), Rehabilitative Exercises (Stretching & Strengthening – help to increase range of motion, endurance, reduce tightness).